Whether you're heading for the office or away for the weekend, stash your tablet, headset and shopping in the Dayton Rucksack from Jack Wolfskin and you'll know where to find it. 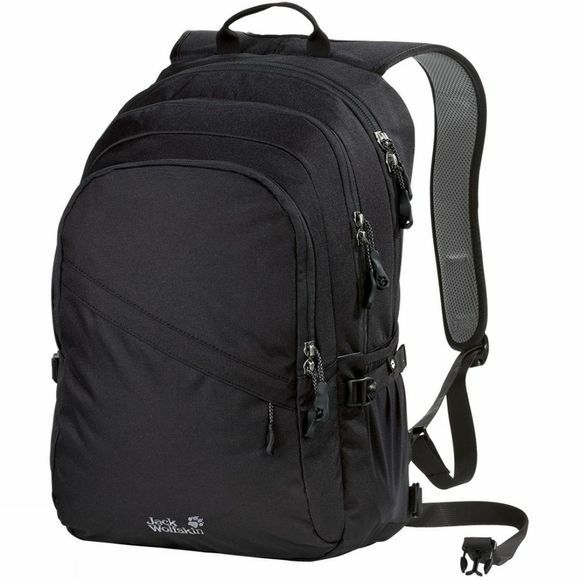 This large capacity day pack has plenty of room and lots of packing options. It is have sectioned up the stow space into two main compartments, two front pockets and two side pockets. The main compartment at the back has a padded pouch with a soft, flocked lining for your tablet (10"). have even included a special loop for your headphones. The comfortable Snuggle Up suspension system spreads the load evenly to relieve the strain on your back.